We’d love to have your support. We’ve provided more information on all the ways you can do this below. 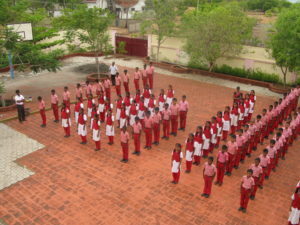 Most of the children who attend Nirvana school are sponsored by people from the UK and some from Europe, USA, Canada and India. We depend on regular sponsors for each child to receive education from nursery school to high school. We also rely on donations to help maintain the school and to fund current and future projects. The cost to sponsor a child is only £80 (GBP) for one entire academic year. Occasionally sponsors also send their children other gifts and letters on their birthdays and other occasions. Many sponsors have visited the school to meet their children and volunteer their time as well. Sponsorship also helps the local community by creating employment for teachers and other staff. Donations also help us provide assistance to under-privileged families in the surrounding rural areas when necessary. There are 380 children attending Nirvana school at the moment of which 140 kids are in Nursery School, 180 in Primary School and 60 in High School. £80 sponsors a child for an entire year. That's works out as less than 22p per day. You would be making a huge different to someone's life. We'll send yearly updates to you from the child your money sponsors too. In addition to annual sponsorships to educate each child, Nirvana school also relies on one-time and ongoing donations to help with the maintenance of the school and to assist with current and future expansions. All donations, no matter what amount, make a big difference. We also welcome corporate donations and fundraising events. £100,000 was donated by various donors to purchase additional land nearby to build our High School which has reached its completion. We are currently only accepting donations via email. Simply use the Donate Now button to make a request. Fundraising is another way to get involved and help Nirvana School. Below are some of the past fundraising events that groups have so generously organized to raise donations for the school. The Nirvana Golf Society has been holding an annual golf tournament since 1996. The society was formed by a close group of friends who were passionate about raising funds for Nirvana school. In 2008, the tournament raised £5500 for the school. With their generous contributions we managed to build a stage and purchase a school bus. This event was held in February 2005 in London, UK and attended by approximately 100 people. The event raised almost £1500 which was used towards the purchase of some furniture for the new dining room, and also a back-up power generator for the school. The Nirvana children benefit from uninterrupted power supply – the lights and fans no longer keep going out every few minutes as was the case prior to the generator. Kara Wilson is an amazing and inspirational woman and we thank her again for her generosity in hosting the event and her contribution to Nirvana School. In September 2005, Nishi Nathwani, Rajen Shah, Minal Nathwani, Nisha Khiroya and Kishan Vasani organised “Nirvana Night” in London, UK. It was a fabulous event attended by over 300 people with an astounding sum of over £8000 raised from ticket sales and donations. This money was used towards the purchase of the land adjoining the school building, and enabled the school to fulfil new regulatory requirements. This group now runs One Cause, a UK-based charity that supports Nirvana School by providing major needs such as purified water facilities for the whole school, computers with broadband, a power back-up system, sponsorship of community courses, and much more. In September 2008, Pravina Dattani, Jayshree Raja, and various friends and family, held a Mehfil singing concert in London, UK. The event was attended by 200 people and raised £7500 which was used to purchase the first plot of land for our High School. Nirvana School is visited by a number of volunteers who help out for a couple of days or for many months. The time they spend at the school is fun, rewarding and educational for them and everyone at the school. We’d also love your help at the School. I have had the profound privilege of supporting Nirvana school for many years now, ever since I made a very short trip to the school in Nov 1997. The heavy monsoon rain meant that our visit that time was just for an hour. At the time, I promised Vinu Massi that one day; I would return and help her at the school. In early 2000, I was at a point in my life when I could just pack my bags and go to Pondicherry for a month. I didn’t really know what to expect and I was worried about things which now seem so petty – such as will there be hot water for showers and what will I be eating! But I need not have worried – once I got there, my outlook on life changed. As I was at the airport, leaving for Pondicherry, someone said that it was going to be a life changing experience – and how! There were all these people around Nirvana school who seemed so happy – and yet they had so little compared to me. And best of all, the children gave me so much joy! I was really privileged to make a difference in their lives, even though it was only for a few days. I soon realized that I could not fix things for these children – their standard of living was not going to improve dramatically over night, but I could make a difference by giving them a chance via better education. My time at Nirvana school was a very humbling experience – I thought I was humble to start with, but now I definitely am! I did so little for the Nirvana kids and yet I got so much back. Since returning from India in 2000, where possible I have shared my experiences about Nirvana school and my personal goal has been to get sponsorship for all the school children. It looks like this goal might be finally achieved in 2005, even though the number of pupils has gone up to around 350. For just £80 a year, we can make a huge impact on the lives of the whole Nirvana community. I returned to the school in March 2005, along with 6 teachers from the American school in St Johns Wood and was amazed at how much progress the school had made. This website, launched in October 2005, is a testimony to how the school looks like now and shows the progress made in the last 5 years. I have taken most of the images and video clips and these photos show the school and children as seen through my eyes. I hope you enjoy going through this website and thank you for sharing my journey, and that of the many other people who have visited the school. I would once again like to take this opportunity to truly thank Vinu Massi and acknowledge the work she is doing. Having spent so much time with her and seeing what she has done, I can really appreciate what she has done for the Nirvana children. India is not the easiest place to live and work for one used to life in the West. And yet Vinu massi has achieved so much almost single-handedly – I am not sure that even she fully appreciates the scale and scope of what she has created. She has given so much love and brought joy to so many people. It is truly awesome. Our objective in creating this website is to show others via Vinu Massi’s example, just what we can achieve, if we put our heart and mind into doing something for others. For those of you who are currently reading these words I really have only a few things to say. If you are thinking of going to Nirvana school then stop thinking, just start packing your bags and go! I can tell you about my experiences of the school, which were incredible. Where would I start? Do I tell you about the fantastic smiles on the faces of the children? The cherubic faces of the Kindergarten kids? Or the cheekiness of the Upper Class kids trying to get out of their set work? For every one who goes to the school, there are a wealth of experiences to be unearthed. But these treasures are different for everyone! In fact you will make your own experiences based on what you get involved in – and getting involved is what it is all about. I personally helped set up the computers with educational software and re-indexing the library using colour coding to help the children find the books on their own. Some days I also taught the children maths or science. The key is to go with an open mind, as you will always find something worthwhile to get involved in when you are at the school. It is all about taking the initiative, as Vinu massi is always happy to introduce new ways of doing things into the school. If you are worried about how the children will perceive you, then don’t be! At first, the children will be curious and a little unsure of you, but after a few days they will laugh and joke with you – and one thing I guarantee you is that they will love you. You will never forget the warmth and affection of the children and Vinu Massi. Pondicherry is also a great place to hang out in. It is on the coast and has long been associated with the Sri Aurobindo Ashram which attracts a very international mix of visitors. You can also check out Auroville – a vision of how the world could be. There are plenty of choices of accommodation to suit all budgets. If you have never been to India you may be a little apprehensive. It is a unique place and it may feel a little strange, but keep your eyes open and you will see how the people make a point of enjoying life every day. Take every opportunity to connect with the Indian people, and they will make you feel at home. Everyone who I have met who has visited Nirvana School seems to return with a strong sense of attachment to it. My visit to the school certainly changed my perspective of things and marked my first time in India. This was an unforgettable experience. I noticed so much scope to help everyone, the school children, the local community etc. When I saw first-hand all the work Vinu Masi was undertaking, I felt truly inspired – it is not often you meet people who live their lives to help others in that way. Vinu Masi was so supportive and caring, and despite only spending two weeks with her, I feel very attached to her. Not only was the work I undertook there truly appreciated, but I really enjoyed doing it. I am sure those of you who are able to visit the school will enjoy themselves as much as I did. My only advice is to go for as long as you can! I will just explain how it was when I arrived here in January and how it is now after 10 months. Wow! I cannot believe it has been that long when initially I remember saying that there is no way that I would stay more than four months! So when I first arrived I could not get over the children… whether it was the initial impact of them all dressed beautifully in their uniforms… standing to attention as you walked into the room… running up to me and say good morning madam, and I am certain that during the first few days there every one of the 200 children had managed to run up in front of me and greet me good morning. Even though their manners, smart presentation and their good English was all very impressive….but what really captured my heart was their big open eyes full of so much emotion and love… and I straightaway felt that these children have been through so much more than I could ever imagine or handle. Above all I felt that they were my teachers rather than the other way around and it still is that way, believe it or not! I came to India with the dream and inspiration to help children but I quickly realised that there is nothing much for me to do except just to love them and that was very easy. Besides the school being there to give them an education…it is a very special school because it really loves these children and that radiates through from the inspiration and love from Vinu massi and her family and all the many loving and kind hearts in England and all over the world… I believe in my heart that this is not just any organisation that we all are involved in.. And actually I don’t like to think of it as an organisation because it is not that at all. I spent a lot of time with 7 children in the fifth standard. They were the first children to attend the school and I became very attached to them and when they left at the age of teen to further there education at a government school I saw them sad to leave this special school that they had spent their important younger years in. But I also saw them full of much confidence, enthusiasm and love and I knew that what this school had given them would be in their hearts forever… it had given them a sense of invincibility, a certain strength and confidence and hope that will always be with them, no matter what comes up against them along the way. In the West we are all busy striving to be the best we can …to push ourselves and to be always improving ourselves and the opportunities for doing this in the West are immense. What I really felt in my heart to share with you all is the inspiration and the love that I feel here and that is clearly coming directly from everyone that is helping these children that cannot be physically here in India. This love from you all is just flowing like a river and getting stronger and stronger and it is really felt in the school and I see that it really is touching the hearts of the children and the families …not in an obvious way but a very subtle and powerful way. I also feel very sure in my hearts that all whom are brought here to contribute to this big family is of no coincidence at all and that there is a much deeper significance and meaning within it that is for each of us to discover and inquire into ourselves. So I thank you all from the depth of my heart for all your love and generosity and for giving me the opportunity to be here and to help with the wonderful work that without you all would not be possible. With all my love and happiness. Volunteers can get involved in various activities depending on their areas of expertise and interests. Each volunteer visit is unique as it really depends on how much you’d like to get involved and in what areas. What’s consistent is that your time is greatly appreciated and your efforts create clear, direct, and visible improvements. Past volunteers have helped teach various subjects, organize the library, create new activities, play games and even paint the school playground. Other volunteers such as Umesh, have played a leading role, teaching at the school for many months and setting up the school’s computers. All volunteers visit Nirvana school at their own expense for travel, accommodation, food, etc. We can assist you with information on how to plan your trip in terms of where to stay and what overall costs to expect, and give you any other travel information you may require. Email it over to us at: nirvanatrustindia@gmail.com. You can also email us to ask us any questions. In addition to individual child sponsorships, donations, and support from volunteers, Nirvana School also receives gracious support from organisations listed below. We are always looking to welcome new organisational sponsors so please do get in touch if this is something you could do. One Cause is a UK-based charity committed to raising awareness and funds for the provision and advancement of education to communities around the world that have little or no access to meaningful education. The organization was started by Nishi Nathwani, Rajen Shah, Minal Nathwani, Nisha Khiroya and Kishan Vasani who were inspired to start their own charitable organization after some members volunteered at Nirvana School in 2004. Their aim is to provide a socially, financially and environmentally self sustaining model so that local communities are empowered and equipped to pursue a more prosperous and sustainable future. One Cause worked with the School in 2005 to raise funds to purchase land for a school playground. Their goal is to work alongside Nirvana School to assist in various areas to make a tangible difference to the local community. 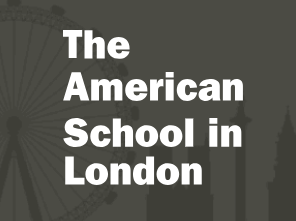 In March 2005, Nirvana school was visited by six teachers from the American School in London. Arvind Devalia, a main volunteer at Nirvana, had convinced one of his friends, an ASL teacher, to join him on one of his volunteer trips to Nirvana. Since then, close links were forged between the two schools and now ASL sends six teachers to teach at the school for a week every year. ASL has donated numerous items to Nirvana School over the years such as uniforms, stationary, books and many other teaching materials. They’ve also introduced new teaching methods and helped refine the students’ spoken English skills, which is a big focus for the school. Nirvana School has been linked with the Phoenix School for the past few years, and within that time they have supported the school in a number of ways. There have been a number of visits from the headmistress, deputy and teachers. They have brought a range of materials to help the schoolchildren, including phonics booklets. The parent’s guild donations have helped Nirvana to renovate a large multi-purpose hall which is a great space and provides a place where the whole school can come together for many events. We hope to continue the progress that they have made and have a long-term relationship with the school. If you have a question, or would like to arrange a visit, feel free to get in touch. To sponsor a child, make a donation or to find out more about these areas, please email Mrs.Samani at nirvanatrustindia@gmail.com. Donations help maintain the school and fund current and future projects and expansions.Every little bit helps.